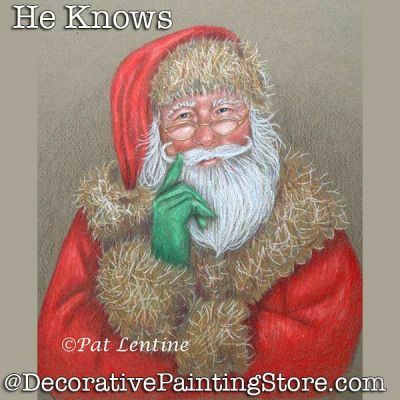 Santa with his finger to his cheek in colored pencil. Prismacolor Pencils on 11x14 mi-teintes paper. This pattern includes images, instructions, line drawing, supply list. You can download the pdf file from the Order Confirmation screen as soon as you are returned to our site from Paypal. Just click the red DOWNLOAD link. We suggest you read our ePacket FAQs for more information.